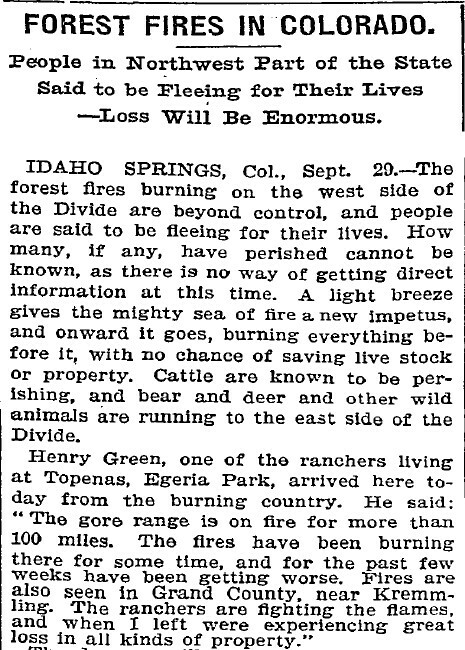 It is sad that people lost their homes (what do you expect if you build a house in the middle of a forest in a place that averages only 14 inches of rain a year) – but the fire is not very big compared to the low CO2 fire of 1898. 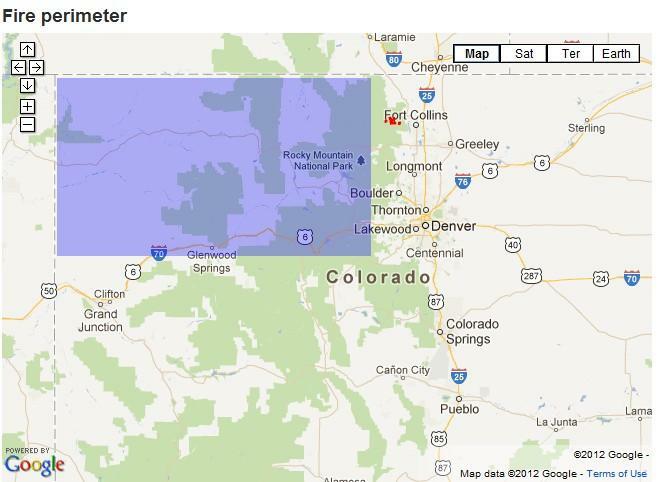 The 2012 fire is the red dot west of Fort Collins. The 1898 fire is the blue rectangle. The 1898 fire was hundreds of times larger. People who claim that fires are getting more severe, have no idea what they are talking about. At thirty degrees Longitude/month Westward (with the orbit of the Earth’s Magnetic Field,) the current One Solar/Earth Year ‘Dry’ Cycle will have passed North America (and Fort Collins) by July. An alleviation of ‘Wild-Fire’ conditions should be expected, with the subsequent arrival of the Two Solar/Earth Year ‘Wet’/Normal Period. I see you made to Forbes. Wow, that Forbes aricle was fantastic and it is great to see “our” Steve quoted! Slowly but surely the cat is coming out of the bag. Pielke Sr. compares the horrendous 1910 fire to the current fire near Ft. Collins. A very clear map of relative fire sizes, showing the huge discrepancy in size of the two fires. CAGW addicts would certainly imagine it was the other way round as they do not like to consult inconvenient truths.